The UK’s first 99.8% organic eyebrow serum to come with a 60-day manufacturers’ money back guarantee. 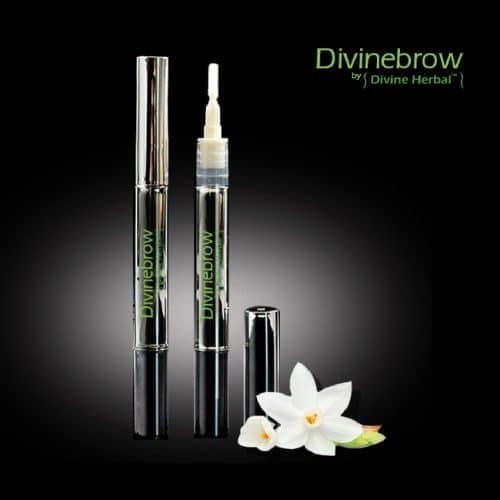 Formulated to specifically target eyebrow hair; which is coarser and has thicker roots than scalp hair, Divinebrow helps to regenerate sparse, thin or over-plucked eyebrows. Utilizing the nutrient-rich properties of Marshmallow Root, Grapeseed, Lavender, Sea Buckthorn and 12 other powerful plant extracts; it helps to stimulate and volumize eyebrow hair follicles, encouraging faster and thicker eyebrow growth. Applying the serum with the sponge applicator tip nightly, results can be noticed in a relatively short period of time. Divinebrow follows on from the success of previous products: the ‘Hair Oil’ – for hair loss, the ‘Facial Treatment Serum’ for pigmentation and anti-ageing concerns, and more recently ‘Divinelash’ which was the first 99.7% British-made, organic eyelash serum. The Divine Herbal story started in 2010 when the ‘Hair Oil’ was launched to the public, its popularity quickly spreading due to word of mouth testimonials on its anti-hair loss efficacy. It remains as the brands’ biggest selling product both online and in over 130 salons & pharmacies nationwide. Divine Herbal are exhibiting on stand F94 at Olympia Beauty 2017. 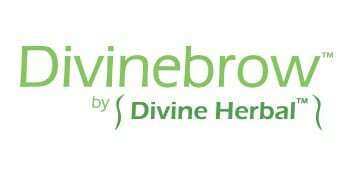 Visit the Divine Herbal website by clicking here.